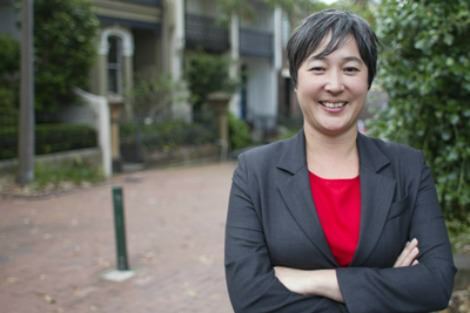 Last week, a member of Parliament, Jenny Leong, allegedly faced racist and sexist abuse by police from at least four separate commands. This abuse was linked to her opposition (in accordance with her party's stated policy) to the use of drug sniffer dogs without a search warrant. Whether or not one agrees with Green party policy in this regard, public vilification (let alone by sworn police officers) ought to rankle. Leong's ill-treatment at the hands of the executive is, unfortunately, not an isolated phenomenon. Employees of Wilson Security, the manager of the Nauru detention centre, spied on Senator Sarah Hanson Young while she was visiting the facilities — conduct allegedly condoned by the prime minister of the day. In 2014, the head of the Department of Parliamentary Services refused to say why they appeared to be using CCTV images to target whistleblowers attempting to give information to Labor Senator John Faulkner. More broadly, the possibility that Australian parliamentarians can be targeted as part of the 'Five Eyes' Anglophone spying agreements has been left open by the head of Parliament's IT security. One of the most basic principles of a democratic society, dating back to the Enlightenment thinker Rousseau, is the idea that governmental power should be separated. In order to avoid concentrating too much power in too few hands, the lawmakers (legislature) should be different from those enforcing penalties for lawbreaking (executive) or from the people deciding whether or not there is any lawbreaking in the first place (judiciary). This idea, with later modifications, is known as the doctrine of separation of powers and informs most legal systems to some degree. It is a bit wobbly in systems, such as those in Australia or New Zealand which are derived from the English (Westminster) system. This is because, in these systems, the prime minister leads the largest party in the legislature and simultaneously heads the executive and, as such, also has a hand in appointing judges. "One might reply that politicians, as some of the most entitled members of society, deserve little sympathy. But the treatment of MPs is a matter of grave concern." Nevertheless, even in these systems, the judges are supposed to be independent, and executive officers are not supposed to interfere in the day to day business of the other arms of government. It may be objected that such breaches as have occurred are no threat to the separation of powers doctrine as they are the work of a 'few bad apples' and should not be sheeted home to the executive more generally. This indeed was Wilson's defence to their employees' spying on Sarah Hanson Young. Tony Abbott's response (that Wilson were 'looking after' her) strongly suggests that there was at least knowledge of the operation at a much higher level. One might reply that politicians, as some of the most entitled members of society, deserve little sympathy. They can, after all, stand up for themselves. On the contrary, for this very reason, the treatment of MPs is, or at least should be, a matter of grave concern for all of us. If parliamentary oversight means so little that sworn police can publicly sexually and racially abuse those nominally in charge of them for advocating policies which they are elected to pursue, then what hope can the rest of us have for protection from much worse abuse? If the companies employed by the executive to run its off shore detention camps are allowed to interfere with the parliamentarians who are supposed to oversee their activities, then what chance do the refugees in their 'care' have for justice against their gaolers? The (partial) separation of powers that exists in Australia has been eroded by the government in other areas as well. Within the last year, asylum seekers have been retrospectively deprived of the right to access the courts to contest their status in the courts, the third arm of a government functioning under the rule of law. Courts have also been prohibited from examining their treatment. Dual nationals accused of terror offences (a remarkably broad category) are already susceptible to having their Australian citizenship revoked without access to the courts. Some might say that they are the lucky ones: Australia is even content to share information on its own citizens with the US's drone program despite the extra-judicial killings in that program of its own citizens accused of terrorist involvement. Of course, such killing has the advantage that it cuts out the courts — inconvenient middle-men at the best of times — altogether. The treatment of Senator Leong should be one more warning that healthy democracies do not stay that way unless they are properly maintained. At some point it is everyone's responsibility to sniff the rot. Australia makes a great deal of the importance of the rule of law in international forums, particularly when encouraging others to introduce or maintain such arrangements, but erosion of the principle of separation of powers also erodes the rule of law, replacing it with executive government by decree. Who guards us from the guardians? Thanks for a thought provoking look at the direction we are are, as a society, travelling. I have at times made a half joking comment that democracy is a fine thing, and Australia should try it some time. But the legislatures actions in ruling them out from consideration of, for instance, the rights of asylum seekers, is no joking matter. We are one step away from it being a Minister of the Crown phoning a police executive and instructing him to take action against whoever has displeased the politician. I was lukewarm abut a Bill of Rights until recently, but it seems to be our only remedy, but is further away than it has ever been. It's very troubling when police are found to be acting in a manner contrary to their particular office. The public, which includes every level of society, should have confidence in the integrity of our police force. I think the way to counter corruption is to take responsibility for our own actions, always being aware that we are all subject to putting our own interests ahead of others' interests. This is not acceptable in a caring society. In 1901, our population was 3,773,801. 77% were colonialists by birth but their heritage was from over 85% of the world’s nations. From 1890, the Constitution fathers worked long and hard to create a Commonwealth to be based on the principals of Social Justice, Equality for all and the Common Good. Their efforts were a wonder to the rest of the world. Delegates from China, India, United States, Peru as well as much of Europe came here to try to understand this new experiment in social democracy. Do we still stand tall and proud? I'm not surprised at the treatment at the treatment that the Hon. Jenny Leong received from some sections of our police force. I also was the object of a blatant racial profiling by a member of our Border Force upon my return from a holiday in Vietnam. The irony is that the said Border Force personnel is of Middle Eastern/Sub Continent origin. Racism by any other name is still racism. By the way, I'm a Chinese Australian. That the matter has been referred to the Police Integrity Commission signals an effective separation of powers. More a matter of culture within the police -- and yes, other executive agencies. Lack of independent oversight of refugee concentration camps is a real problem. As an aside it is strange to ascribe the doctrine of the separation of powers in the modern sense to Rousseau. Normally attributed to Montesquieu, though it has earlier theoretical precedents, including Locke, and much-earlier political precedents. Dr Glyn maintains separation of powers is wobbly in our system. In our system judicial independence has been alive for longer in Westminster systems than anywhere in world.